FEATURE — Know anyone who has had small pox lately? How about polio? Diphtheria? Once global health threats of literally epidemic proportions, these and other diseases have largely been eradicated, due almost entirely to immunizations. Nationally, the basic childhood immunization series is commonly referred to as the 4:3:1:3:3:1 series: 4 DTaP, 3 Polio, 1 MMR, 3 Hib, 3 Hepatitis B, and 1 Chickenpox. The goal is for every child to be fully immunized at age 2. According to the Utah Department of Health on its immunize Utah website, national childhood immunization coverage levels in 2011 revealed that 77 percent of the nation’s 2-year-old children received the 4:3:1:3:3:1 series, compared to 71.1 percent of Utah’s children. Why aren’t more children immunized? Scott Newbold, an Intermountain Healthcare pediatrician, frequently answers questions from parents who have concerns about vaccinations. And while immunizations can cause reactions like a mild fever and tenderness, the discomforts are far less concerning than the dangers of the full-fledged disease. Dr. Newbold points to the (VAERS), a national vaccine safety surveillance program co-sponsored by the Centers for Disease Control and the Food and Drug Administration. Parents, guardians, and health care workers are encouraged to report any adverse reactions to vaccines via the Vaccine Adverse Event Reporting System website. Reports are collected and analyzed, and results are made public. An example of the Vaccine Adverse Event Reporting System working is the rotavirus vaccine. It is recommended that families talk to their pediatrician or family practice doctor as they make choices about immunization. Written for St. George Health and Wellness Magazine and St. George News. 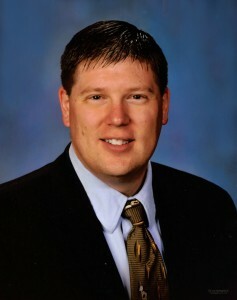 Dr. Scott Newbold is a pediatrician at the Cedar City Clinic, telephone 435-886-5500. Opinions stated in this feature are his own and may not reflect those of St. George News. Ed. note: Views on immunization vary, full analysis of alternate views is beyond the scope of this feature. The reason parents are vaccinating their children less, is because there was a study that came out in 1998 that linked vaccines to autism, since then the study has been thoroughly debunked over and over again by numerous medical journals. However, for some reason people still want to hold onto the belief that there is still an autism risk. Not vaccinating your children is unbelievably naive to the dangers of the diseases they could contract, and should be considered child endangerment. For all we know, the high rate of Autism in Utah might be linked to all that religious garbage being filtered into the developing brains of small children. While I agree that there is a time and a place for that NGAIGTTMWTD attitude, it is NOT in the area of your children’s health. But it doesn’t really matter what anyone says, because the people who are not going to do it, are too stupid and too stubborn to listen to ANYBODY. Go pray when the kids get sick or blame the government when they get sick.. The “foolish, brain dead comment” is your own. Your link contains only pseudo-science and is aimed at those who are completely ignorant of what real science actually entails. MY EVIL TWIN and the groupthink robots like him/her only know how to parrot MSM and institutional talking points without backing their name calling up with any substantive arguments or research, which betrays their ignorance and stupidity. I would love to see a peer reviewed, journal published well conducted study that shows causation between a specific vaccine and autism. And please, scientific literature only, not internet blogs or newspaper stories. I was in a long, long line to get the polio vaccine in a sugar cube. We were thrilled that polio wasn’t going to continue be the huge fear that hung over us as kids in the ’50s. There is nothing like the sight of a neighbor in an iron lung that took up half of a living room to make one grateful for vaccines. I made sure my kids were vaccinated and they are now smart parents who have vaccinated their own kids. AMEN Karen! Of course, the little dweebs like TINMANFREE were not around to see those things. But he still knows best! Oh yeah, he sure does. What an idiot! Oh smart ones, behold us of thy grace and pray tell us why the rate of Autism is increasing every year? Global warming? Chemicals in the drinking water? Nuclear testing over the deserts of Nevada? The innocent deaths of baby seals? I will pitch my two cents in here. this shows a classic example of correllation=/= causation. Here is why: The incidence for nearly ALL mental diseases have risen in huge numbers over the last 50 years. by incidence, I mean the diagnosis. That doesn’t mean that people did not have autism before, it means it was not diagnosed. I am also a bit wary of overdiagnosis, such as what happened with ADD over the last 20 years, but i digress. So what I hear you saying, and correct me if I’m wrong, is that the medical industry often miss diagnose patients and are still learning and don’t really know for sure if they are actually curing anything. I think that is the point of all of us “kookoo’s” is that we have faith in something bigger than science and medicine. The problem is that you sound really smart. And a lot of people might believe you but the fact is simple, with all of the medical journals you read it still all theory and opinion. I’m not looking to blame any one thing. I just want “medical professional’s” to either do what they profess they are and actually help people or shut the ____ up. I’m sorry, but you still are not grasping the point. WE DO have peer review research showing exactly how vaccines work, and that they are safe. There has never been a proven causation to them and autism. Just because you can’t be sure that someone has a symptom only based diagnosis like autism does not mean we don’t know how vaccines work. Also, if you knew the ethics review process of a study or how hard it is to get journal published and how sound the research has to be, you would understand. Why not gripe about something we DON’T know, like why coronary artery disease kills 30 percent of every person in the country? I don’t think you are grasping the point. I am griping about the fact that medical professionals don’t know what is going on with a lot of stuff. Not just Autism or Cancer or coronary artery disease. If I were to settle on 1 out of every 68 of my projects at work failing, I would not have a job let alone publishing articles in a journal that tell other professionals how to do their job. My POINT is that medical professional are losing credibility. You are try to get me to believe otherwise and then tell me that I’m the naive one. I don’t go to doctors for their guesses any more because with a little digging of my own, I can guess what’s wrong with me too. You are trying to tell me that we should just blindly follow these guesses because these people are smart because they went through a peer review process. Look up the definition of a peer and then spread your blather. I’m sorry, this conversation has got to end. Scientists do not GUESS at how vaccines work, we KNOW how they work. Do you even understand the scientific method at ALL? A GUESS is a hypothesis. A hypothesis is THEN put to a trial control study. I would strongly advise you to take a single human physiology class at your local cc, or pathophysiology class, so you can understand just a tiny bit about how your immune system works, before you start comparing your Google knowledge with immunologists that have studied this academically for longer than your total school time in your entire life. I’m not saying the medical community is always right. I’m simply stating that if you can’t so much explain the 4 basic immune responses, or the difference between cell mediated and innate immunity, you have no business calling out so much an undergrad student, much less a group with multiple phd’s in the subject. Second, the connection to vaccines was investigated. It’s not there – no evidence of such a link. Plenty against it. Well, it sure isn’t due to vaccines. Thinking logically, the rate of vaccinations, unfortunately, is going down but the rate of autism is going up. Clearly there are other factors involved such as better reporting, environmental factors, etc. But to implicate vaccines just doesn’t make sense. No interest in injecting this into my body or into one of my children: Aluminum Hydroxide, Bovine Extract, Formaldehyde, Lactalbumin Hydrolysate, Monkey Kidney Tissue, Neomycin Sulfate, Polymyxin B, Polysorbate 80, Thimerosol (mercury). The mercury content in each vaccine alone far exceeds the toxic limit. You are clearly well-intentioned, but have no idea what you are talking about. The body is not an on-off switch where something in ANY dose is bad, or good. That simply is not how it works. For example, did you know that formaldehyde(yes, the exact chemical structure you are talking about) is produced by your own body to synthesize DNA and MRNA? I suggest you back off of sites like mercola(quackwatch.com 3x submission) and other sites, and purchase a subscription to the new england journal of medicine or the lancet medical journal, and look at the plethora of peer reviewed, journal published, double blind studies that can find NO causation between these vaccines and form your opinion based on the research, instead of finding articles to support your opinions that you have already made up. You are quite wrong about the mercury content in vaccines. For instance, you will consume more mercury eating a tuna sandwich than you will receive in your yearly flu vaccine. If you are trying to avoid exposure to mercury, try moving to place that is not downwind from a coal fired power plant. Mercury in vaccines is miniscule compared to what falls out of sky here from the Moapa power plant 60 miles to the southwest. To bad you can’t inject some intelligence into that pea brain of yours. It is hopeless to try and explain the realities about vaccines when people quote from blogs like vaxtruth. Personally I trust the FDA, the American Pediatric Society, and other qualified professionals who constantly weigh the safety of vaccines against the terrible diseases that they protect us from. It is amazing to me that we will likely have to experience larger outbreaks of whooping cough, mumps, measles and the like because of the ignorance of some of today’s parents. PS Read what the FDA reports about the fact that thimerosol has been eliminated or reduced to trace amounts from vaccines for children under 6. To say that the mercury content in each vaccine exceeds toxicity in today’s vaccines it just not true. After there is a outbreak of disease than everybody will get in line for vaccines . The mental attitude is why fix what is not broke. There have already been outbreaks of whooping cough and measles and the vaccination rate is still falling in some areas. The problem with these outbreaks is that it affects babies who aren’t completely protected with the sequence of vaccinations that are needed. I read an account of one doctor who tried to save three babies with whooping cough and had to watch them gasping for air. All three died. That should never have happened. As for Ebola, you should read the new guidelines for travel from West (not South) Africa. All persons coming from the three countries in West Africa will be monitored for 21 days. All of the medical experts say that travel bans are a bad idea. Ebola has been around since the 1970’s and the medical community knows alot about it and how it is transmitted. Don’t let grandstanders like Jason Chaffetz muddy the waters as he tries to make a name for himself. He is doing more harm than good by spreading fear about it. It ceases to amaze me the distrust the religious kookoos have toward the government and vacinations. These religious kookoos completely believe in some guy and his stories of civilizations on the moon, an imaginary planet as their god’s home and scores of other nonsense. But don’t trust them vaccinations… them is bad et merda. Are they that ignorant of deaths due to measles, rubella, scarlet fever, diphtheria, etc, before vaccines and antibiotics? Dixie people probably don’t have any problem vaccinating the pets and livestock. They don’t want them to get sick. Something to be said, though, how some of them like their dogs and horses. I mean, really like their dogs and horses. Bill Gates is also a big fan of vaccines… that and population control. To be fair, your kids wont have diseases if you are sterile and cant have kids. I wonder if Dr. Newbold wrote this at a Pfizer convention where you trade your soul for a nice vacation. Who in there right mind would trust the fda or CDC? The same folks who thought phen-phen was okay – till everyone on it started having heart attacks and many died! Yeah, I sure as hell aren’t trusting of them. Or of any agency who has money pouring in from lobbyists of the big pharmaceutical companies. Their studies involve giving a single shot to a kid and then, obviously, there’s no issue. They don’t dump 30 of em at a time into the kid like they want us to do. Obviously that much crap floating around in a tiny body is going to affect the rapidly developing brain. Clearly the cause of koolaid’s and some other’s asinine comments… Get vaccinated, but not all at once. Space them out and get the more important ones first. As the kid gets older he’ll tolerate the vaccine better as he’ll have a better immune system. You don’t need all by 2 but get them done by 5 so he doesn’t catch syphilis or whatever from koolaid’s kids. On the contrary, there is plenty of research done on vaccination schedules. Kids do (should) not get all their vaccines in one bolus, it should be spread out over a year or so. This is MORE than enough time. You arguement sounds like a strawman. I’ve never heard of ANY medical practitioner suggesting all vaccines be given all at once. Vaccines and whether or not to immunize yourself or your children is a personal decision. Most of these comments are so demeaning and judegemental. Whether than taking the time to throw your judements and call people names based on their decision maybe you should spend some time pondering your self. Above all else we should treat eachother with respect and kindness. Actually, not immunizing your children affects society as a whole. When outbreaks of say, whooping cough, occur it is the very young who pay the price in terms of hospitalizations and even death. Babies are not fully vaccinated against whooping cough until they have had boosters so if their siblings bring home whooping cough it is the babies that get very sick and sometimes die. Opting out has long been available to those who choose not to vaccinate but the numbers are increasing and so then are outbreaks of these deadly and avoidable diseases. Well here is my thoughts on vaccines. I was vaccinated in the military age 22 with the swine flu vaccine in 1976. Myself and a few hundred more soldiers became very ill after the vaccine and some even got Lou Gehrig’s disease ALS after being vaccinated. Luckily I only got very ill for 3 days and had some paralysis that only lasted a few min. I was very lucky not to come down with full blown ALS. Also Myself and my 2 siblings all had 2 types of measles one of them the most dangerous GERMAN measles, Mumps and Chicken pox. Not one of us died even though we did get very sick and have to stay in bed and in a dark room for a few days. My children were both vaccinated and had some pretty bad reactions such as very high fevers 100 – 101 and severe diarrhea and were sick for 2 days with it but pretty much came out ok except my son when 2 had a seizure right after the MMR one. He only had it once I thought he had died in his bed but when I grabbed him out of his crib his eyes rolled back but then he came out of it. This is all my experience to add to this comment. I now have an 18 month old grandson who has most of his vaccines all spaced far apart which I believe is the best and safest way to do it. he did have a small reaction the day after one of his vaccinations when he went limp and seemed to be staring in a confused state but it only lasted about 2 or 3 min. then he was fine. he has not had severe fever or any other reactions. There are a few cases in the U.K. where parents are trying to prove vaccination caused the death of their child MMR to be exact but so far they have not proved it beyond a doubt. There is a you tube video of the child when she was normal for about 2 years then suddenly after the MMR she stopped talking and went down hill and died. her Mother is certain it was the vaccine. Im not saying it was or was not but I will tell you with the Idiot we have in the White House letting all these people come freely into our country and bringing all the diseases we were nearly rid of with them, I for one will tell my daughter take the chance and get the baby fully vaccinated. They are swarming across the border and bringing all sorts of illness with them and that my friends is A FACT! !